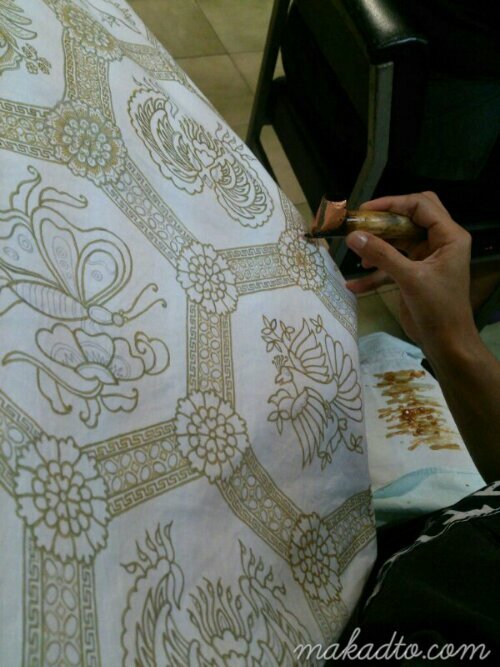 A hand painted batik motif (batik tulis) will take about three months to finish. Longer than those stamped ones (though still by hand). 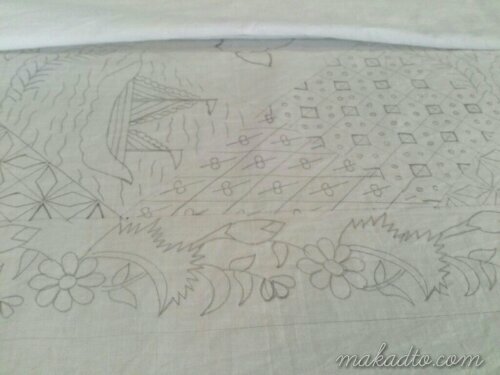 Motifs are hand-drawn in white fabric. Then, waxing those parts that will remain white or will be in different color using that pen like tiny tool with metal cup and spout for the wax. At the center is the wax in copper container used by the craftswomen. After dyeing in blue (dark blue/indigo), those white ones have remained white because the patterns were covered in wax. 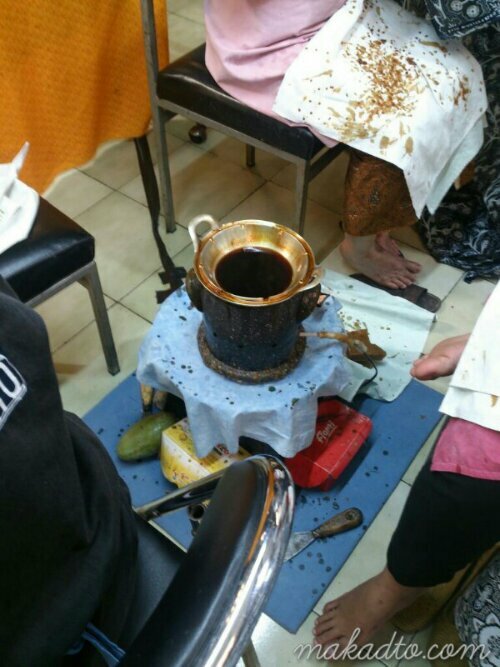 Wax was removed by means of boiling water. Waxing those blue area that will remain blue and white area that will remain white when cloth is dyed in brown color (or in any other color). 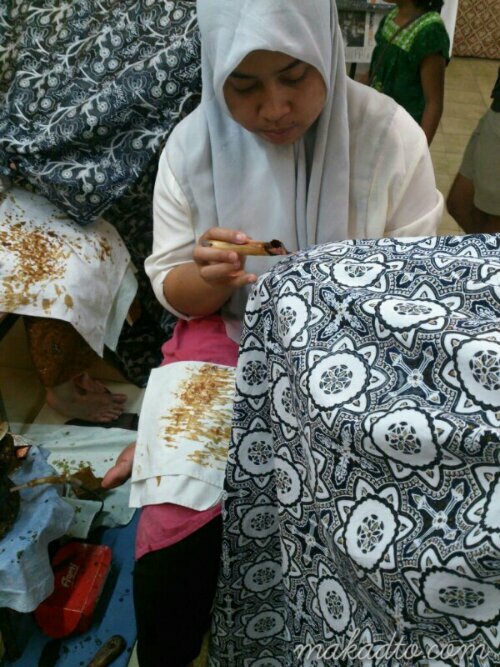 Blue and brown are natural dyes that came from plants and also the traditional colors of Javanese batik. To remove all the wax, boiling water is used on the fabric. 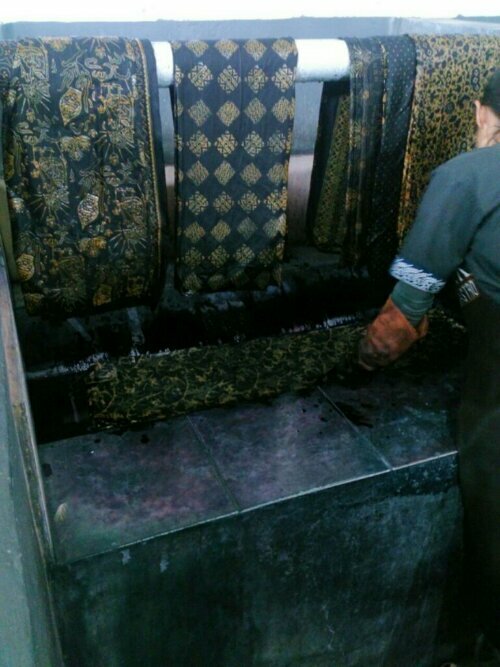 To remove some of the wax (for selective dyeing on various sections of the fabric), manual scraping is done by hand. Waxing, dyeing, drying, scraping/boiling water, then repeat until desired color combination is accomplished. 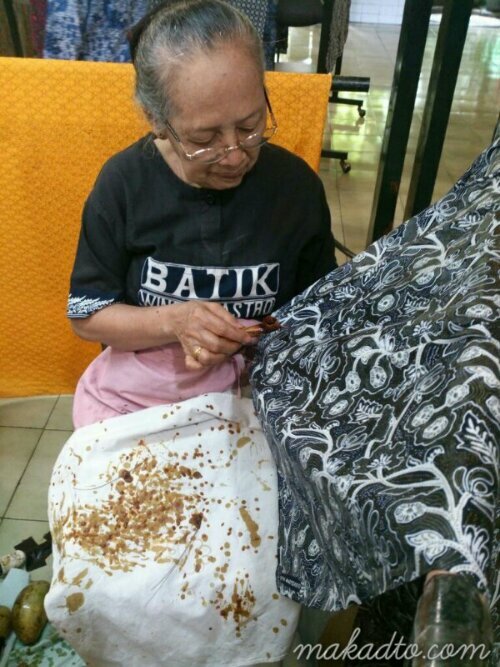 The end product is the beautiful batik fabric.